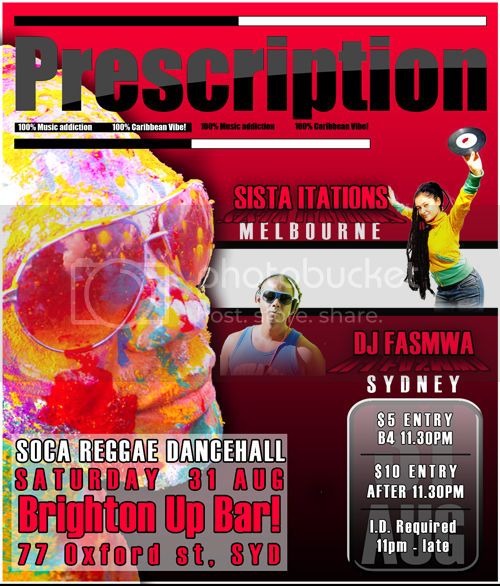 PRESCRIPTION - a Caribbean Event, featuring Reggae - Dancehall & Soca music. We have Australia's best female selector attending this event!!! 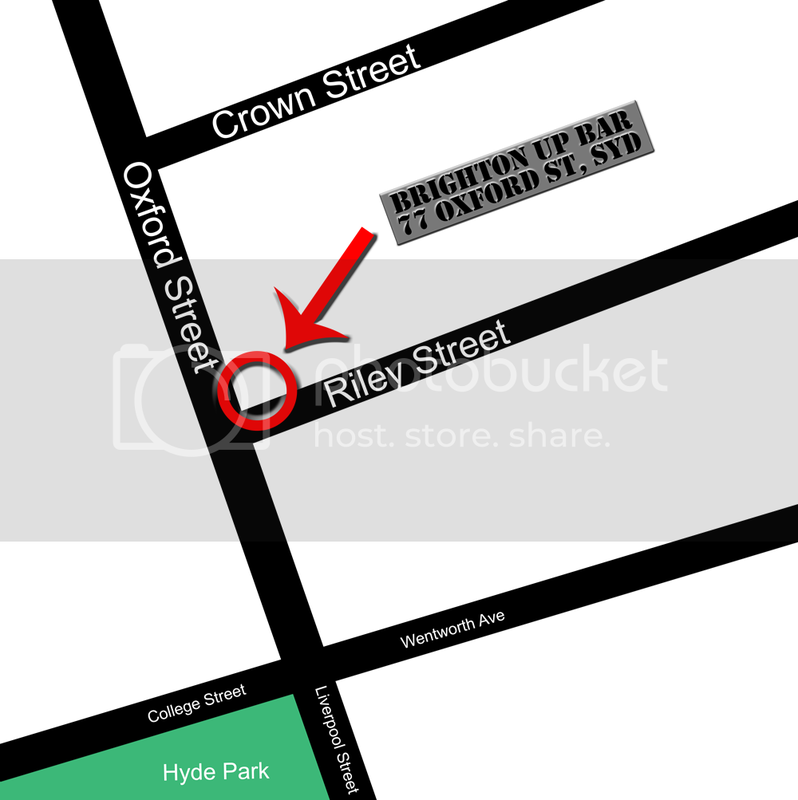 So it should be exciting - As usual you Will have DJ Fasmwa playing everything from dancehall/Reggae/Soca starting from 11pm till late . STRICTLY NO STANDING - Just Dancing!